Intracom Telecom activities in this area address the operators' need for optimized, content-aware and cost-efficient management of networks and traffic. Clouds, CDNs, and Peer-to-Peer (P2P) networks are in scope as well as next generation networking concepts like Software-Defined Networking (SDN), Network Function Virtualization (NFV) and Information-Centric Networking (ICN). As ICN research is maturing, it is still unclear how ICN could be adopted for the production networks of ISPs. POINT aspires to propose a migration path from current IP networks to ICN networks. The main vehicle of POINT's proposal is a bidirectional gateway between IP and ICN networks. This gateway will allow existing application to continue functioning while new, pure ICN applications can be developed and deployed. A prototype system will be implemented and will be tested in a real ISP network. Intracom Telecom contributes to the development of the system prototype and leads the dissemination and exploitation of the project results. The adoption of the Cloud Computing paradigm poses traffic management challenges to modern ISPs. Cloud generated traffic is travelling across network domains following application-based decisions, typically neglecting the underlying infrastructures, network resources and ISP's management policies. At the same time, we witness the growth of network traffic driven by social networks; such traffic patterns are characterized by unpredictability and burstiness. SmartenIT aims to address the aforementioned cross-layer challenges by introducing two approaches: the Operator Focused one, which addresses the inter-domain cooperation challenges for unified management of cloud-based traffic at the core network, and the End User Focused approach, which considers the QoE and energy-efficiency aspects of network management at the access network. Two prototypes have been implemented respectively, and they are currently tested and evaluated. Intracom Telecom oversees the realization of the prototypes and focuses on system architecture design, module development and prototype integration. Given that content access is typically fragmented over many intermediaries (iTunes, BitTorrent, YouTube, IPTV providers, etc. ), COMET aimed at helping users spend less time on how to access content, thus freeing up time for considering what content is right for them. COMET unified access to content by embracing ICN (decoupling content access from the content's location) and hiding intermediary details. The result was a global, distributed system for streamlined content publishing, content location-independent access, efficient distribution, and device-neutral consumption. COMET was one of the first European R&D projects on ICN. Intracom Telecom focused on the design, implementation, and integration of the COMET system prototype, but also in managing the dissemination, standardization and exploitation of the project's results. ISPs have been struggling to handle the load from P2P systems, while P2P systems in turn are always striving for better performance. To solve this tussle, SmoothIT advocated a cooperative approach where ISPs and P2P systems exchange information in order to lower ISP costs and increase P2P performance, mirroring the efforts of the IETF ALTO work group. 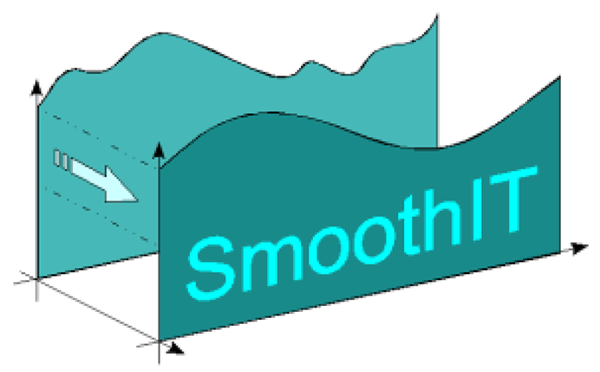 Such information exchange in SmoothIT was not based on altruism, but on market and game-theoretic principles to promote fairness and prohibit misbehaviour. A prototype system was implemented and tested in the production network of a small ISP. Intracom Telecom was mainly active in design, implementation, and integration of the SmoothIT prototype as well as in the project's public relations.